The sole goal of Hardstyle Abs is to achieve an extraordinarily strong mid-section. But not simply to swivel heads with your rippling “six-pack”. For, according to Pavel, your abs should be simultaneously weapon, armor and force generator. The six-pack is just a side effect of the coiled power with which you now operate. Hardstyle Abs will give you impenetrable body armor—to withstand a direct hit of the greatest magnitude. Hardstyle Abs will give you the generative force to retaliate with a devastating backlash. And Hardstyle Abs will help you lift more weight than ever before—more safely. After years of dedicated research and experimentation, Pavel has identified three "killer" drills, as all you need to achieve this level of mid-section mastery. 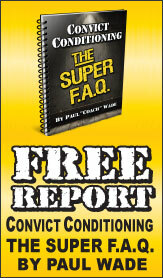 Follow Pavel’s battle plan to the T and the results are guaranteed—noticeable within weeks, extraordinary within months. Pavel provides the laser focus. You? Simply obey the commands. 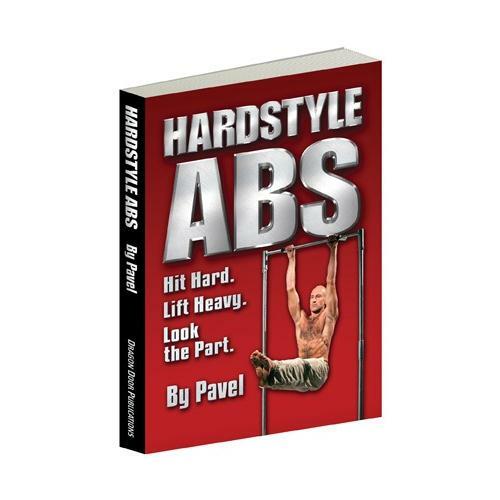 "Pavel's Hardstyle Abs gives the audience a quick but thorough education on why traditional "core" training programs are faulty then proceeds to give you breathing and exercise secrets to achieve both functional and aesthetically superior abs. The exercises are not easy, but Pavel gives a step by step routine that clients of any level can begin and have incredible results. I use these methods in some form with every athlete or client I work with." 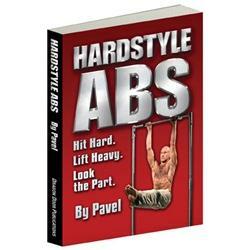 How sure are we that HardStyle Abs (eBook) will work for you? Simply fill out the form below and put HardStyle Abs (eBook) to work for you right now. Obviously, we would go out of business if HardStyle Abs (eBook) didn't work, the way we said, right? With the promise of a full refund if you're unsatisfied, you have nothing to lose by trying HardStyle Abs (eBook). Go ahead and try it today. • Why high reps have failed you—and the "secret sauce" that will have your abs tuned for heavy action all day long and at a moment’s notice. • Hardstyle breathing—for explosive power and a bullet-proof waist. • The Hardstyle Sit-up—to generate an unbelievable contraction for superior results. • Internal Isometrics—the lost secret behind the old-time physical culturalists’ exceptional abdominal strength and development. • The Hardstyle Hanging Leg Raise—the final weapon you must master to channel the power of your every muscle into one devastating surge. "My good friend Pavel is the functionally strongest pound for pound man I have ever measured and studied. This validates his approaches—they are not polluted by current trend, political correctness, financial gain or ego. Listen to his wisdom and you will be stronger and wiser. I did, and I am." "Hardstyle Abs is a terrific resource for making your abdominals harder and stronger than they've ever been. Forget about the high-rep burn, Pavel's techniques will unleash explosive power from your midsection when he uncovers his breathing, sit-up, and internal isometrics secrets. 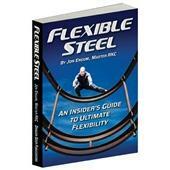 And his Hardstyle hanging leg raise is one of the most challenging and effective strength exercises I've ever used." Appendix: A few words about "functional core training"
"Pavel's Hardstyle Abs is right on as always! Everything starts with a breath of air. Now with several abs exercises mixed with ancient Chinese breath control techniques, like internal isometrics , Pavel’s Hard Style DVD orchestrates your way to incredibility powerful abs to insure record breaking performances and a strong and heathy life." But it is also interesting and beneficial. I have been waiting for a reboot of Pavels abdominal work for quite some time. After my first RKC I assisted at 3 others-and something extra was taught each time about using the midsection (I refuse to say "core"). 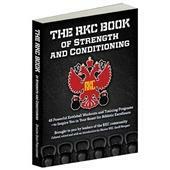 This work I believe best represents the current training methods of the RKC for all midsection needs, definitely a "desert island" book. It is worth its price for the drill showing how to do leg raise type training in a hotel room without hand holds. It is rich with technique, instruction and scalable progressions. This collection, more than much of the previous work, teaches integration with other Hardstyle training. An outstanding work with my only regret: waiting for the DVD. I have to add that the picture of Pavel with the I love Pilates sign is awesome! This is a classic Pavel product. I started off in the evening casually flipping through the pages,having bought the book only because of the author (I have never been interested in abs). I finished it past midnight, and am already beginning another read. There are nuggets of wisdom thrown liberally every other page. Once more, perhaps more than ever, you see how high a class Pavel belongs to when he continues to credit even his detractors for some original thought or the other. I have no doubt that this book is going to make me a much stronger and healthier man. Already, my ugly lumbar rounding at the bottom of my squats is gone. If you have this problem, you need to learn about pelvic tilts, hamstring tightness AND ab weakness. Pavel circles these areas tirelessly on the wheels of research and his own vast coaching experience. Call me biased, but I see no downsides to this book. I have seen Pavel up close and how incredibly gifted he is as a coach and a teacher. To see him deliver such a high class product on this oft-beaten subject of abs surprised even me, the perennial (and trained) skeptic. Now go buy this book! Rated 10/10 The best resource I've found an training! I've attended nearly 180 hours of Dragon Door workshops, certifications and miscellaneous training and have nearly the entire library of Dragon Books and DVDs. I can honestly say that this is definitively the best resource yet on all things abs. I've read the entire book, taken furious notes and practiced the drills. As an RKCII this is a great recap of material covered in last years RKCII cert as well as wealth of new info. Pavel continually improves upon his previous works and this is no exception, This book is one of Pavels best, guaranteed to provide enough challenge to last a lifetime. 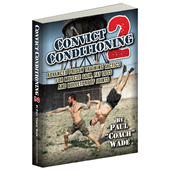 If you're an RKC, a fan of the Naked Warrior, Convict Conditioning or ETK then this book will blow you away. Rated 10/10 I finally understand. I got HardStyle Abs about a week ago and have read it cover to cover twice. This the best book that Pavel has put out since Enter the Kettlebell. Pavel finally has got across to me the idea of the Power Breath. I am amazed how much easier it is to do deadlifts and shoulder presses using this technique. In addition, I finally understand how to properly use the Pavelizer and now feel what a Janda sit up should feel like. The hanging leg raise is interesting but out of my ability for now. Maybe after a few months of power breathing, Janda situps and full contact Russian twists, I will be ready to learn that move. With over a decade of teaching Americans and other Westerners under his belt, Pavel has boiled down the essentials of ab training to three almost-literally killer exercises. He continues learn from both experts and trainees, refine his methods and protocols, and hone his presentation. The book is sharply edited, has great, clear photos, and is well-footnoted for anyone who wants to geek out on the physiology references. I'd give it a 10 but until "Beyond Bodybuilding" is surpassed, I will be handing out stingy 9s -- call me "the Russian judge" if it makes you feel better. This is the first ever Dragondoor product to disappoint me! I have bought so many products Over the years but this is basically a reprint of bulletproof Abs. Not worth the purchase if you have Pavels older books! Hi I am 38 years old when I was 9 I did Kayaking for a sport it is a sport that required a considerable level of upper body strength then when I was about 15 I switched to Karate from Karate to Kickboxing then mixed in some BJJ. From the age of about 16 to 35 I trained 6 times a week. I am still in pretty good shape. So when I looked at the Janda situps with the towel the first thing that came to my mind was. "Pfff can't be that hard!!" Then I got my wife to help me give it a try. OH MY GOD!! Forget doing 3 or 5 I could not even do 1. Where was this exercise 20 years ago???? How come I never heard of this? I was born in Hungary after all not that far from Czechoslovakia and Russia. You guys occupied my country for almost 50 years I had to lean Russian in School. So tell me why did you keep this a secret??? 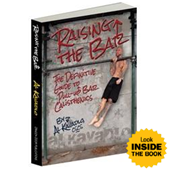 This book has provided me with better understanding on how to use and teach anything abs. I haven't found any other resource that comes close to this one. I purchased the book as an E-Book as soon as it was released. Not too long after, I received a copy of the video. Like many other of Pavel's writings, this book contains many '"Bang for your Buck" nuggets of information. What I really like about Pavel is his very direct instruction. There is not a lot of explanation, yet you understand what it's about. This isn't just some book on developing a 6-pack, although that could and would be the result. This is a book that is also backed up from a biomechanical standpoint through various Dr. McGill references. Although I must admit that I am not a big fan of prescribing flexion based exercises for my athletes, reading this may sway me a little at least to try some of them with my advanced guys. This is the way that I would incorporate spinal flexion in my program. The video is a great way to assist in reading the book and absorbing the information. Sometimes for me, I need to see a video of an exercise, rather than read it in a book. This is a must have on your bookshelf. Clear, simple,precise and effective. I highly recommend this book.